Thermablaster welcomes Academy of Sports and Outdoors as its newest retail partner! Thermablaster welcomes Academy of Sports and Outdoors as its newest retail partner! Academy Sports + Outdoors is a premier sports, outdoor and lifestyle retailer with a broad assortment of quality hunting, fishing, and camping equipment and gear along with sports and leisure products, footwear, apparel and much more. The Texas-based company operates over 200 stores throughout Alabama, Arkansas, Florida, Georgia, Indiana, Kansas, Kentucky, Louisiana, Mississippi, Missouri, North Carolina, Oklahoma, South Carolina, Tennessee and Texas. With over 4 billion in annual sales, Thermablaster is honored to have such a great retail partner to launch our newest product, the portable propane forced air heater! This small heater puts out over 60,000 BTU’s of heat and is perfect for outdoor sporting events. Click here to visit the Academy web site to purchase the Thermablaster Portable Propane Forced Air Heater! Thermablaster welcomes Lowes as it’s newest retail partner! Thermablaster is pleased to announce that Lowes is launch customer for the 3rd generation Thermablaster Vent-Free Wall Heater. Our newest Generation heater automatically detects which fuel is connected to the heater using our patent pending fuel system. Lowes has over 1840 stores in the US, Mexico, and Canada. As one of the top big box retailers with $57 billion in annual sales, Thermablaster is honored to have such a great partner. 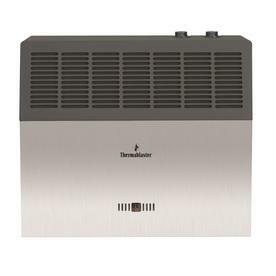 Click Here to purchase the latest Thermablaster wall heater from Lowes! GROUPON Deal for the Thermablaster Cabinet/Tailgate Heater RC9200IT! Heats up to 20 sq. ft.
Thermablaster welcomes Dicks Sporting Goods as its newest retail partner! Thermablaster Turn 10 Years old and we are celebrating with a new website!! On October 15th, 2014, Thermablaster turns 10 years old! We are celebrating this occasion with a launch of our new infrared cabinet heater, infrared table top heater and a brand new website. We believe these two new products will enhance the outdoor living experience as well as tailgating at sporting events. The new Thermablaster web site helps end users decide which product best fits their needs. A dealer locator directs the consumer to a store nearest to their location or to a web site to purchase the product. After a new heater is purchased you are then able to register your product. Product manuals are available for download to assist professional installers with installation. Our web site offers a blog to keep consumers up to date with current product and company information. We are very excited to introduce this site to the public as our company begins to release its new and updated product line!